You’re exhausted during the day. You’ve had enough of this bothersome bark that has plagued you for days now. How can you get rid of this tough cough? Coughing is the body’s natural mechanism for clearing up the air passageways. When you are exposed to respiratory irritants, coughing is a reflex action that aims to unblock or free the airways so you can breathe more comfortably. A cough or two a day is not a cause for concern. However, if a cough lasts for a prolonged period of time, then your body might be trying to tell you something. Which type of cough do you have? To know how to take care of this annoying ailment, you need to find out the root cause of your cough. Allergy: It can be allergic rhinitis or hay fever. Flare-ups: It can be a recurrence of a long-term condition such as asthma, chronic bronchitis, or chronic obstructive pulmonary disease (COPD). Lower respiratory tract infection: Examples of this are bronchitis or pneumonia. Upper respiratory tract infection: Infection that affects the throat, windpipe, or sinuses. Examples include colds, flu, laryngitis, sinusitis, or whooping cough. Coughs can also afflict you for a longer period of time. There are other less common causes that can lead a person to cough. It can be because of aspiration, cystic fibrosis, heart disease, or lung cancer. It is best not to jump into conclusions, however. The best course of action is to consult a doctor for coughs that are persistent, or last for more than four weeks in children and eight weeks in adults. Since coughs are a reflexive action of the body, the cough itself may not be considered contagious. Rather, it is the cause of the coughthat must be taken into account. If either a bacteria or a virus is causing the cough, then preventive measures should be observed to stop spreading the infection. Remember that coughing is a way to unblock an obstructed airway or clear the air passages of any irritants. It can then be viewed as a vehicle for the infection to be spread to other people as well. In a joint study conducted in 2017 by the Queensland University of Technology and the University of Queensland, it was found that common disease-causing bacteria can be spread through coughing and sneezing from as far as four meters away. The released pathogens can also stay active for 45 minutes. Do you have a wet or dry cough? Coughs can be considered dry or wet. Dry coughs are usually not accompanied by phlegm. It is often associated with a tickle at the back of the throat and is usually irritating. Congested feeling so the chest feels tight or heavy. Cough is usually more pronounced in the mornings. Sticky mucus is produced. Sputum may also be colored green, brown, or white depending on the cause of the cough. It can also be white, sticky phlegm. A rattling sound can be heard especially when breathing in or coughing. How do you deal with the cough? Coughing can be especially wearisome. 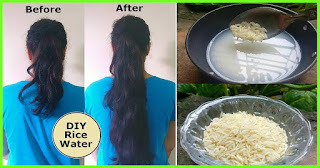 You would want to be rid of it at the soonest possible time so you can go back to your cough-free daily life. Doctors may prescribe expectorants to help loosen the mucus, clear your airways, and prevent the production of new phlegm. These types of medicine may come in the form of 24-hour capsules, convenient tablets, or cough syrup. 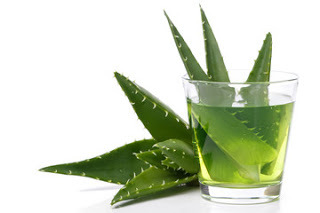 Aside from fast and effective cough and cold medicine specially formulated to relieve you from problematic coughs, you can also do some things that will help alleviate your suffering. Water is your best friend when you have a cough. Drink plenty of it to prevent yourself from dehydration. It will also reduce the cough reflex and help thin out the mucus. Drinking water will also make it easier for you to cough out the phlegm. Have a glass on your bedside table so you can sip on it anytime and thwart a coughing fit. Warm soup or tea can also help supply you with much-needed fluids and help soothe a sore throat. Avoid sugary, caffeinated, and high-calorie drinks as they can dehydrate your body as well. Dairy products are also known to thicken phlegm so steer clear of them until you are well. 2. Avoid alcohol and smoking. Alcohol, as opposed to water, candehydrate your body and wreak havoc on your immune system. It can also cause acids to build up in your stomach, as in the case of GERD, and will induce more coughing. Additionally, alcohol may also have adverse reactions with the cough medications that you are taking. It may cause you to feel faint, uncoordinated, or suffer from headaches or vomiting. Smoking will simply aggravate your cough by irritating the airways. Exposure to secondhand smoke, smog, and other air pollutants will also do the same. 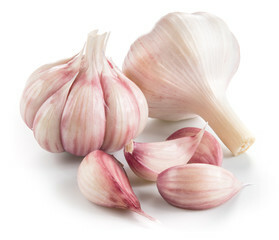 Even exposure to strong scents like air fresheners, or overpowering perfumes can also trigger irritation and coughing. Sleep and rest will help your body recover faster. Stay away from stress and try to relax instead. Avoid going to activities that will exhaust your mind, body, and spirit. Your body needs all the energy it can get to fight off the infection. Try to elevate your head when sleeping. Add pillows so you can avoid post nasal drip and prevent mucus from flowing down and irritating your throat. Staying at home and resting will also help prevent the spread of infection that’s causing your cough. Make sure that you stay in a clean, dust-free, and smoke-free space. Air pollutants can irritate your airways and cause further coughing. Have someone clean and disinfect your home especially those parts that can be easily contaminated such as doorknobs, shared gadgets, or remote controls. Use a humidifier to help you breathe easier by adding moisture to the air. 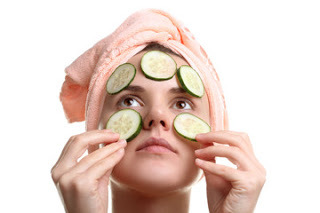 You can also take a steamy shower to loosen phlegm and nose secretions. Be sure to eat nutritious food that will help fortify your body and fight off the bacteria or virus that’s causing your cough. 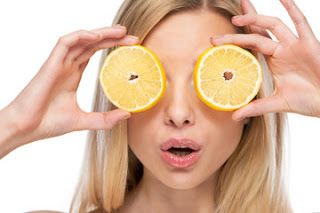 Vitamin C-rich food can help your body recuperate better. This includes broccoli, bell peppers, kiwi, and other citrus fruits. 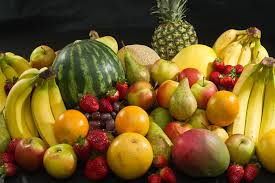 Colorful fruits and vegetables, including oranges, apples, cranberries, and pineapples are also amazing health boosters. Getting bogged down with cough is a hassle, to say the least. Aside from the constraints on your health, it also affects your time and resources. So it is really a big relief that we are out of the Dark Ages and can readily seek medical assistance when we are not feeling so good. We can now get a more informed diagnosis on what to do and how to deal effectively with cough and its underlying causes. There are also effective and fast-acting medicines like mucus-thinning expectorants that help chesty cough sufferers get much-needed relief. Much as we appreciate the available treatments, it would still be wise to take precautionary measures to prevent getting coughs in the first place. Practicing good health etiquette such as covering your nose and mouth with a tissue (instead of your hand) when coughing or sneezing, and washing your hands properly can go a long way in preventing the spread of germs. 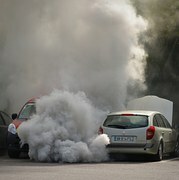 Air pollution is a phenomenon by which particles (solid or liquid) and gases contaminate the environment. Such contamination can result in health effects on the population, which might be either chronic (arising from long-term exposure), or acute (due to accidents). Other effects of pollution include damage to materials, agricultural damage (such as reduced crop yields and tree growth), impairment of visibility (tiny particles scatter light very efficiently), and even climate change (certain gases absorb energy emitted by the earth, leading to global warming). Air pollution is certainly not a new phenomenon. Early references to it date back to the Middle Ages, when smoke from burning coal was already such a serious problem that in 1307 King Edward I banned its use in lime kilns in London. More recently, there have been major episodes of air pollution, such as the 1930 catastrophe in the Meuse Valley in Belgium, where SO2 and particulate matter, combined with a high relative humidity, caused sixty-three excess deaths in five days. In 1948 similar conditions in Donora, Pennsylvania a small industrial city, caused twenty excess deaths in five days. Also, WHO reports that in 2012 around 7 million people died – one in eight of total global deaths – as a result of air pollution exposure. This finding more than doubles previous estimates and confirms that air pollution is now the world’s largest single environmental health risk. Reducing air pollution could save millions of lives. Some regions boast of oil and non oil related industries including refinery, petrochemical, liquefied natural gas, chemical fertilizer, aluminum smelter, paper, cement, flour, wood, battery and textile industries etc which emit various kinds of air pollutants. The pollution from these industries adds to the burden of gaseous and particulate pollutants in the air. – Burning of fossil fuels like coal, wood and dry grass. – Motor vehicles produce high levels of Carbon Monoxide (CO) and Hydrocarbons (HC) and Nitrogen Oxides (NO). – Residential and Commercial activities also contribute to Air Pollution. – The human health is affected due to poor air quality. – Principally, air pollution affects the body’s respiratory system and the cardiovascular system. Though the individual reactions to air pollutants depend on the type of pollutant a person is exposed to and the degree of exposure. – Air pollution may cause long term health problems : The health effects caused by air pollutants may range from biochemical and physiological changes like difficulty in breathing, wheezing, coughing and aggravation of existing respiratory and cardiac conditions. – Stop burning wastes, refuse, dry grass & leaves. – Plant trees and avoid purchasing products un-friendly to environment. – Support and follow Air Act / Laws. Let us help each other in making cleaner and healthier atmosphere where we live. Summary: The secret to thriving life is health and fitness. Embark on a fitness journey through the practice of yoga poses to stay fit. Read the blog to discover more. Ask anyone, “Is it important to stay healthy and fit?” Surely, the answer would be a big “YES.” A well-loaded living of health, welfare, robustness, and energy is an essential ingredient to savor wellbeing in the older years and to enjoy life to the fullest. A human body is a biological machinery with a miraculous internal system working towards the survival of an individual. The negligence, pollution, stressful and unfit modern lifestyle gradually impact the physical and emotional health of a person. Over time, minor afflictions transform into chronic diseases that physically, mentally, and energetically handicap the entity from the pleasures of the life. Making health a priority, getting proper nutrition, having a sound sleep, being connected to our true self and striking a balance in our lives is critical to success and fulfillment. The secret to a flourishing and productive living lies in being healthy and fit, internally and externally. The immortal wisdom of fitness can be sourced from the sacred texts of Vedas, Upanishads, Yoga Korunta, etc. These ancient surviving literature contain the teachings of the time-tested, non-invasive, and accessible science of nurturing– Yoga. Existing since the times of Indus civilization, surpassing many invasions, and enriching an unbroken lineage, the science of yoga is the most fruitful technique of staying fit. Strengthen the hips and abdominal muscles as you balance on the hips. How to do: Sit tall on a yoga mat. Bend the knees, bring them close to your stomach, and lift the feet off the mat. Slowly straighten the knees, flex the toes, and raise the legs up higher. Stretch the arms alongside parallel to the floor. Stay in this pose for 20 seconds. Give a nice stretch and open the body and mind in Dolphin Pose. How to do: Come on your fours. Curl the toes under and lift the knees off the floor. Lengthen the tailbone, elevate the hips, and stretch the legs behind. Rest the forearms on the ground and set the head between the upper arms. Hold this pose for 6-8 breaths. Tone the body to an advanced degree in Dolphin Plank Pose. How to do: Begin in dolphin pose, knees bent. Walk the feet back to bring the torso parallel to the floor and shoulders directly over the elbows. Press the forearms and elbows into the floor and look down towards the ground. Hold this pose for 20 seconds. A traditional Sun-Salutation pose for the overall fitness. How to do: Begin in downward-facing dog pose and then perform the plank pose. 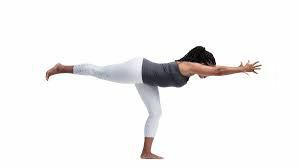 Exhale, lower the torso and legs few inches above the ground and keep them equidistant to the floor. Keep the palms actively pressed into the floor and look straight in a forward direction. Hold this pose for 10-20 seconds. Nurture the health and wellbeing of the core and spine with Plank Pose. How to do: Perform downward-facing dog pose. Keep the arms vertical and torso parallel to the floor. Spread the collarbones away from the sternum, compress the thighs towards the mat, and lift the chin to look ahead. Stay in this pose for 30 seconds. How to do: Lie on the stomach with forehead resting on the ground. Lift the upper body from the floor and rest on the lower ribs. Simultaneously, raise the legs few inches above the ground. Actively extend back the arms and gaze slightly upward. Open the heart to wonderful feelings in the upward facing dog pose. How to do: Lie in a prone position. Rest the bent elbows beside the waist. Press the hands into a yoga mat to lift the torso and legs off the floor. Straighten the arms. Look at a point in the forward direction. Hold this pose for 30 seconds or more. Manifest the qualities of a warrior through the performance of warrior III. How to do: Start in Uttanasana. Step one leg behind to come into a lunge position. Bend the knee of the front leg at a right angle and twist the torso to the right side. Bring the arms parallel to the floor, palms facing each other. Keep the back leg lifted away from the ground. Remain in this pose for 20-30 seconds. Reverse the ill effects of modern living in Advasana. How to do: Lie on the ground on your stomach. Rest the forehead on the floor and stretch the arms beyond the head, palms down. Bring the body into a straight line from top to bottom. Breathe deeply and hold this pose for 60 seconds. Do it for yourself, practice yoga poses to stay fit, and live a life in a healthy and fit manner. Malocclusion is the term used to describe an overbite, underbite, or any issues caused by misaligned and crowded teeth. Rotation or twisting of the teeth can also be associated with malocclusion. Your teeth cannot function properly if they’re in this condition, which may lead to oral and digestive health problems. In severe cases, malocclusion is also linked to reoccurring headaches and depression. “Occlusion” refers to the alignment of the teeth. When your teeth are in a correct position, there are no issues with crowding or spacing. As a general rule, your upper teeth should overlap your bottom teeth a little, and your molars should be in a corresponding position to their counterpart molars. There are different levels of malocclusion, though any kind of misalignment can be problematic. Here we present an overview of this common dental concern. Dentists diagnose malocclusion during an exam through inspection and X-ray imaging. Malocclusion is categorized into three levels, depending on the severity of symptoms. 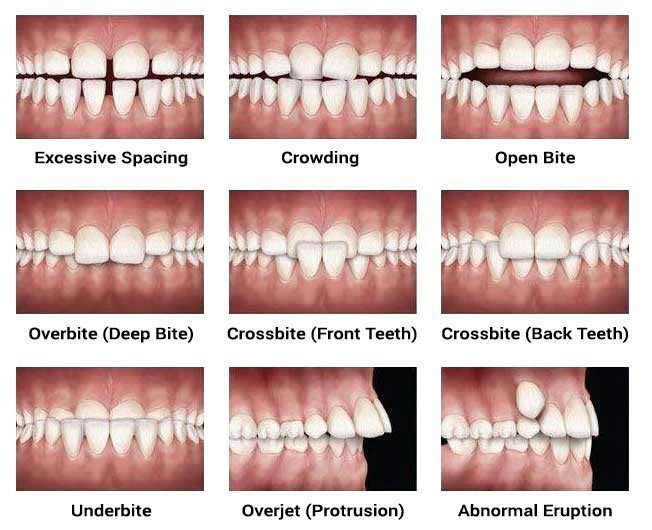 Class 1 malocclusion is diagnosed when there is an overlap of the upper teeth. This is the most common form of misalignment. Class 2 malocclusion is where there is a more severe overbite. 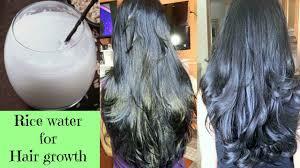 This condition is also known as retrognathia. Class 3 malocclusion is diagnosed in cases of severe underbite. This is called prognathism. In this condition, the lower jaw protrudes forward. Since the problem is often hereditary, there is little that can be done in terms of prevention. However, parents should consult their dentist about limiting the use of pacifiers and baby bottles in order to prevent further malocclusion. Additionally, early diagnosis and treatment can reduce the need for more serious intervention later in life. 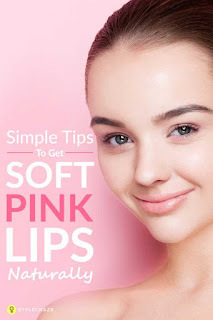 If you have a lisp or whistle when you try to pronounce certain words, then you know that this can be a problem in your professional and social life, leading to lowered self-esteem. Few people know that the positioning of their teeth may be responsible for their speech problems. When your jaw structure is properly aligned, the upper teeth are slightly more forward than the lower ones. There are conditions where the overlap is severe (overbite), or the lower jaw extends beyond the upper jaw. 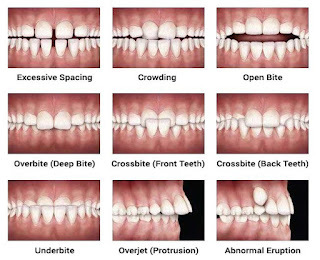 Crossbite is a condition where the position of one or more teeth is reversed. A crossbite may cause you to produce certain speech sounds improperly. When you attempt to produce the sounds S, Z, or L, you end up producing T, N, or D instead. An open bite occurs when your front teeth are projected outwards so much that the teeth of the upper and lower jaw don’t meet. Similar to a crossbite, the open bite may result in an inability to properly pronounce your S.
Usually, there’s a small space between the upper and lower incisors. If the space is too big, the condition is called overjet. This is also known as buck teeth. This condition ends up with a problem pronouncing sibilant sounds. These are sounds with a hissing effect. Most dental headaches are classified as tension headaches. They’re spurred on from tension that builds up in your face and jaw. Many times the tension is a symptom of malocclusion. When you have a bad bite, your chewing surfaces don’t meet along a smooth curve when the jaw is closed. This results in overcompensation by the muscles in the jaw. This can lead to pain that radiates throughout the head. Sometimes, the problem may be difficult for a medical professional to diagnose. The fact that the pain radiates means that its origin will be hard to detect. Your dentist may recognize this, leading them to look for the source of the problem in malocclusion. 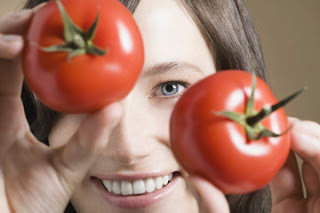 Research shows that malocclusion can have an impact on quality of life and daily performance. One study observed young Japanese adults to see if there would be any impact on their daily performance. It was found that subjects with impacts on daily performance had a significantly higher rate of malocclusion than the others. Additionally, it was found that the negative impacts on daily performance contribute to psychological stress. Malocclusion can be a serious problem. Thankfully, dentists and orthodontists are expertly trained to determine the best course of action. 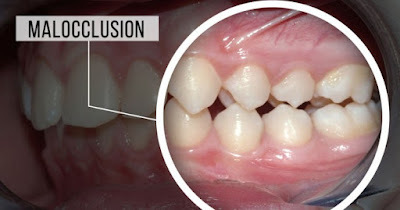 If you are a parent, it’s important to resolve malocclusion issues that your children may have early on in order to prevent it from manifesting and affecting you child negatively throughout their lives.